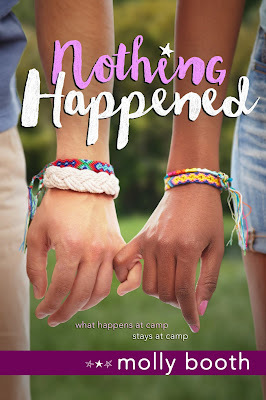 Goodreads Summary: This modern-day retelling of Shakespeare’s Much Ado About Nothing takes place at the idyllic Camp Dogberry, where sisters Bee and Hana Leonato have grown up. Their parents own the place, and every summer they look forward to leading little campers in crafts, swimming in the lake, playing games of capture the flag and sproutball, and of course, the legendary counselor parties. First Thought After Finishing: All’s well that ends well! I love Shakespeare’s plays, including Much Ado About Nothing. I also love my memories from summer camp. So when I saw that they were put together in one book, I was sold. 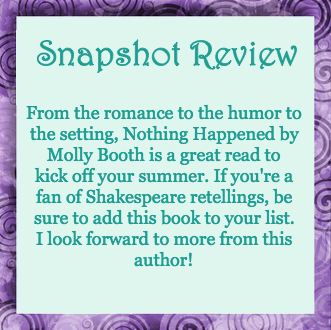 Nothing Happened is a short and sweet retelling of the play and a fun read to kick off summer vacation. Bee has always belonged at Camp Dogberry. She’s grown up with the camp in her backyard—her parents own it—and is looking forward to one more year of being a counselor. Her younger sister Hana and all of her old friends will be there too—and even one “friend” that she’d prefer not to see again. She’s dreading being reunited with her former camp crush, Ben, who shouldn’t have returned for the year. Still, she has no choice, so she decides to make the most of the year. But once camps start, emotions run high, and not only between Bee and Ben. With counselor parties, long-held secret crushes, and the camp rumor mill, these counselors are in for a roller coaster summer. From the beginning, this book took me right back to summer camp. I remember the fun and games of “traditional” summer camps and also how we would speculate about our counselors. On the other side, I’ve seen how a week is enough for counselors to go from strangers to an item. But there is something magical about the place and the people you return to year after year, and that magic was felt throughout this book. I loved the scenery of the Maine coast, the descriptions of the forest, and vicariously spending time in nature (because I definitely don’t do that in real life). Nothing Happened also puts a great spin on the Shakespearean original. It has a cast of diverse characters in terms of races, backgrounds, and orientations. I appreciated that none of this was used as part of the plot but was instead just who these characters were. 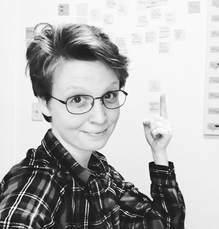 Bee definitely captured the spitfire personality of her inspiration, but I would have liked to see more biting wit from Ben. The other characters also mirrored the original play, which makes for few surprises but a great retelling. Finally, I appreciated that this book (in my not-so-teen anymore) honors the spirit of teenagers. There has been some debate recently regarding young adult truly being “young adult,” but I think this book would qualify. And that is actually perfect for a retelling of Much Ado About Nothing. The drama, the intensity, and some of the actions we shake our head about later all happen to fit together just right. Most Memorable Aspect: The camp setting and their activities.